Since the time Yamaha began selling unit family pools in 1974, Yamaha's Pool Operations has broadened its target to a multitude of areas, including regular households, nursery schools, schools, public facilities, hotels, hospitals, and swimming schools. The number of different models the company handles has also increased year after year. Steady growth has further been seen in comprehensive pool-related services, which include water park planning and construction, emergency water supply systems, and facilities management and operation. Yamaha entered the market for official competition pools with the sale of the School 50DII in 1985, which was officially sanctioned by the Japan Swimming Federation. 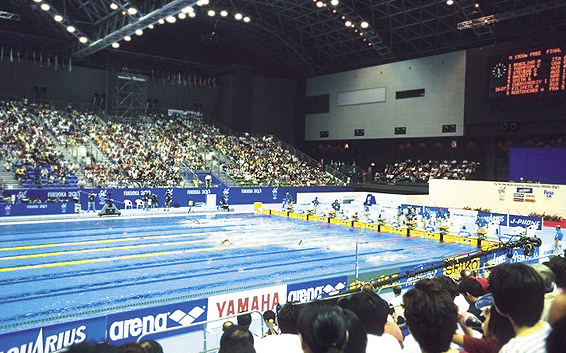 At the 9th World Swimming Championships in Fukuoka held on July 16-29, 2001, Yamaha's FRP pools were used for the main pool, warm-up pool, and water polo pool. The main pool, Swim 21, and the other pools elicited praise from officials around the world for being easy to quickly install for the competition period, then remove, and for substantially reducing operating costs as a result. Eight world records were set at the championships, as well as 20 Japanese national records, prompting the athletes to give the pool strong marks for its cleanliness and being easy to swim in. 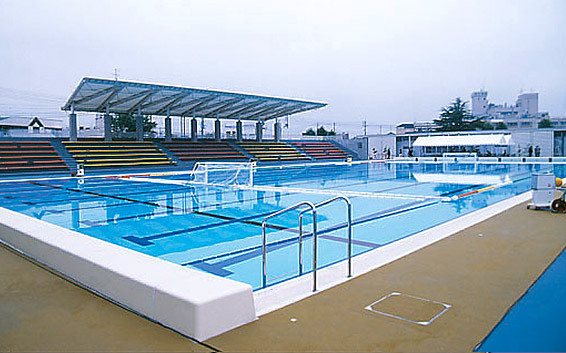 The warm-up pool used during the championships was reused as the Higashiyama Public Pool in the city of Okayama. In the business for more than 40 years, Yamaha has installed more than 35,000 FRP pools and continues its R&D into new pool technologies to provide solutions to diversifying customer needs. As of 2015, over one-third of new pool installations in the 25-meter class in Japan are Yamaha pools.